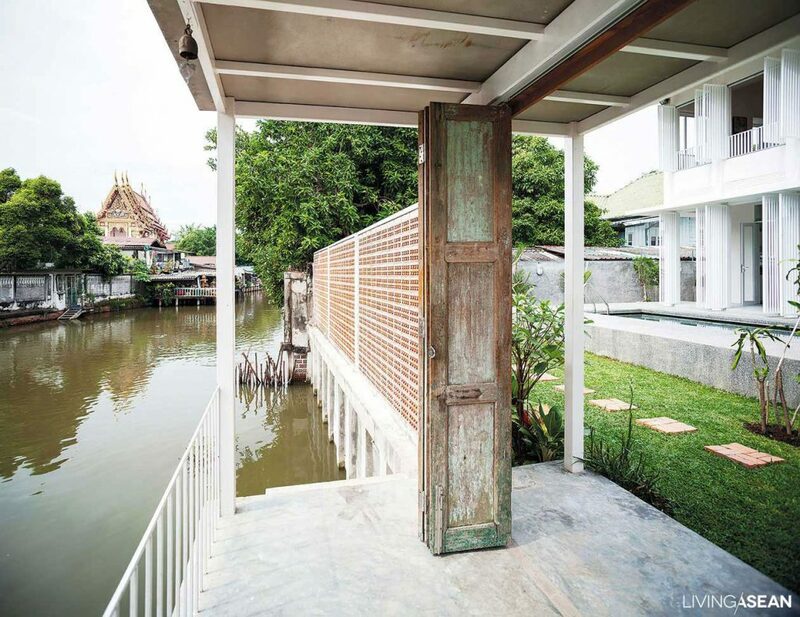 This waterside tropical house brings back memories of Thai life as it was along Khlong Samsen in bygone times. 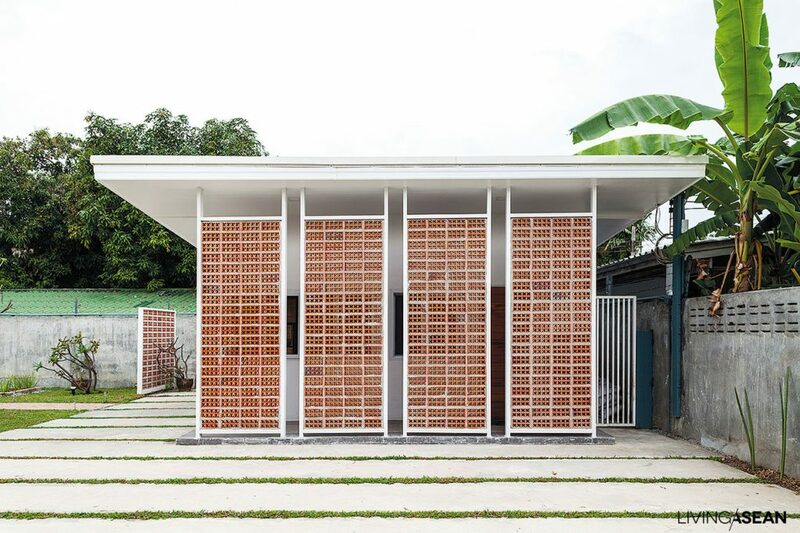 To match the Thai climate, Associate Professor Dr. Tonkhao Panin designed this house in a tropical style. 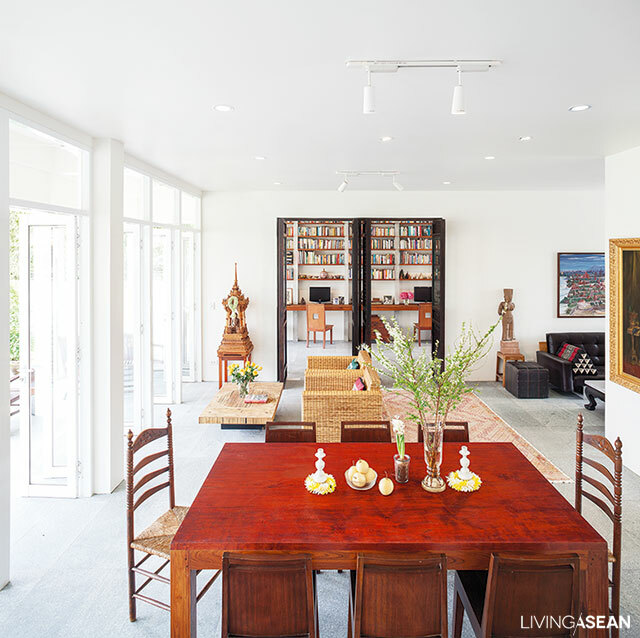 Although it has a contemporary look, the house contains a mix of antiques and collectibles belonging to owners Kajorn Tanaphaet and Eugene Kroon. 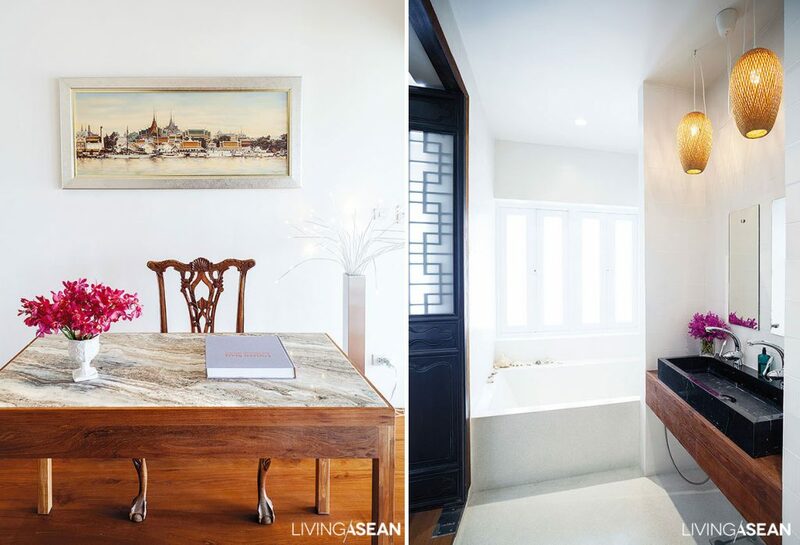 A major design challenge for Dr. Tonkhao was to make old and new fit well together. “My requirements are simply stated: 1. I don’t want luxury. 2. I want high ceilings, and 3. Air conditioning should be minimal. 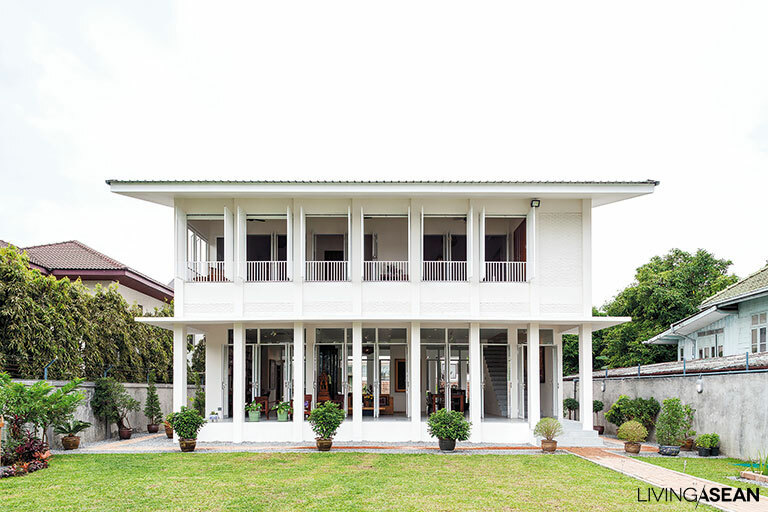 Tonkhao’s proportional design successfully connects the entire property: balcony, reception parlor, reading room, down through the kitchen and out to the swimming pool and pier. 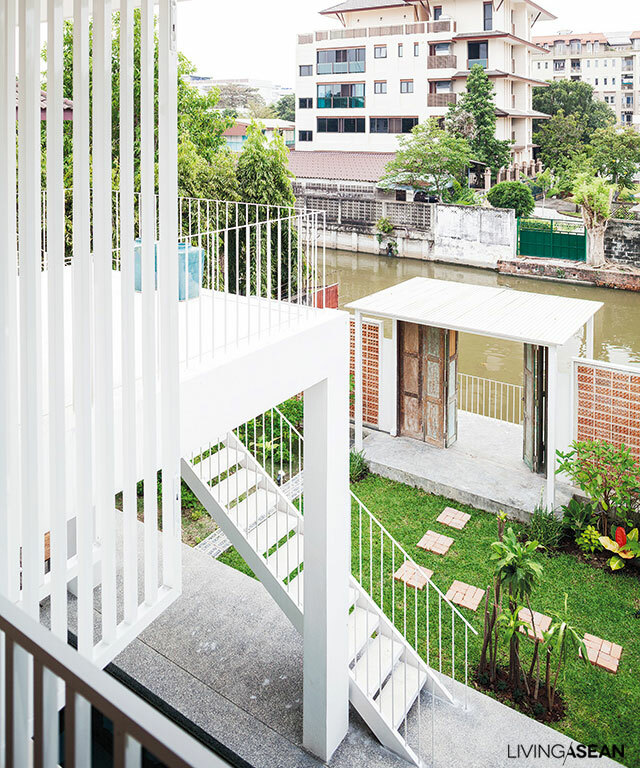 There are a lot of reasons I’m pleased with this location: it’s at the end of the soi, quiet and peaceful, one side opens onto Khlong Samsen, and there’s space in front for a nice garden. 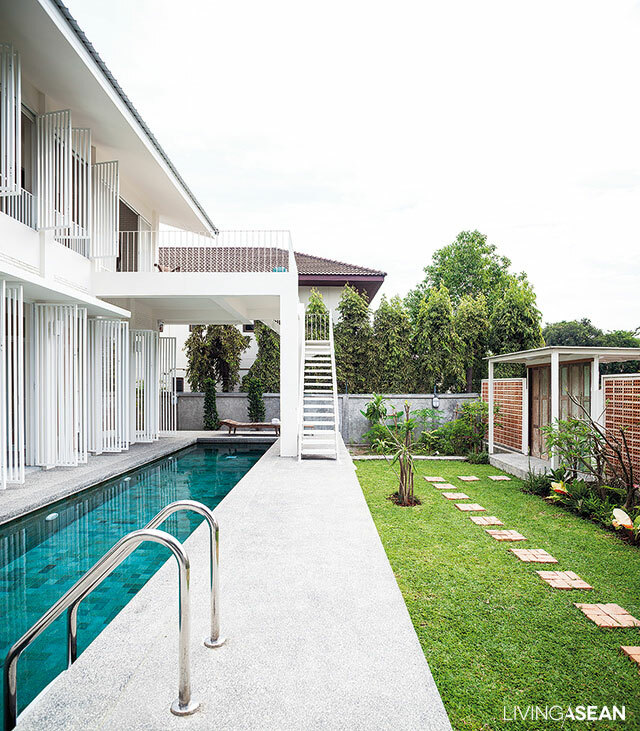 I bought the place some time before I ran across a house designed by Tonkhao in a book I was reading and managed to get him to come design this one. 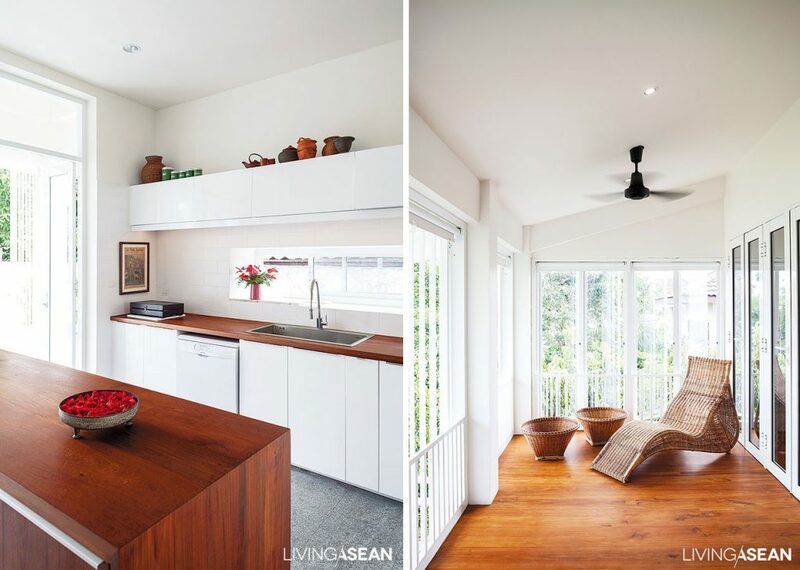 As you can see, the end result is a good-sized house with a great style,” says Kajorn. Even in late afternoon, it’s still shady and cool. 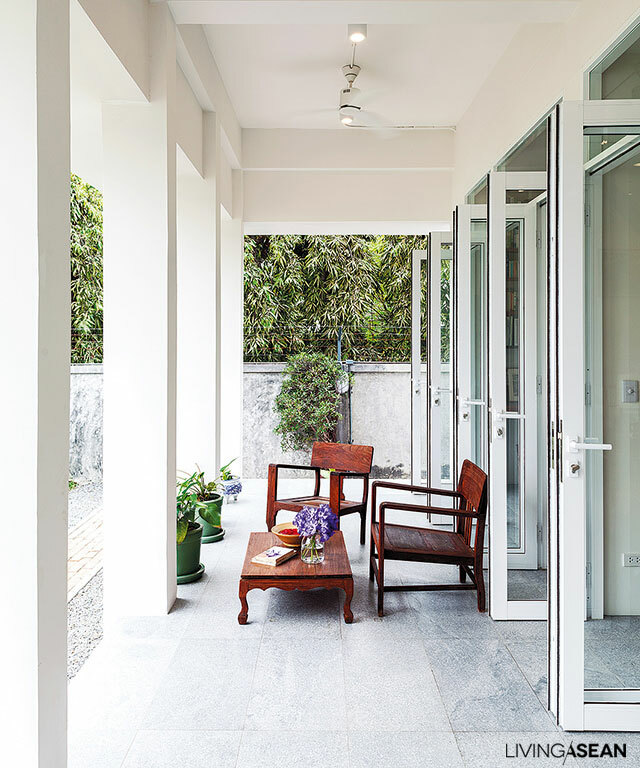 The patio has a long porch deck reminiscent of an “arcade,” the façade of a Sino-Portuguese-style house. 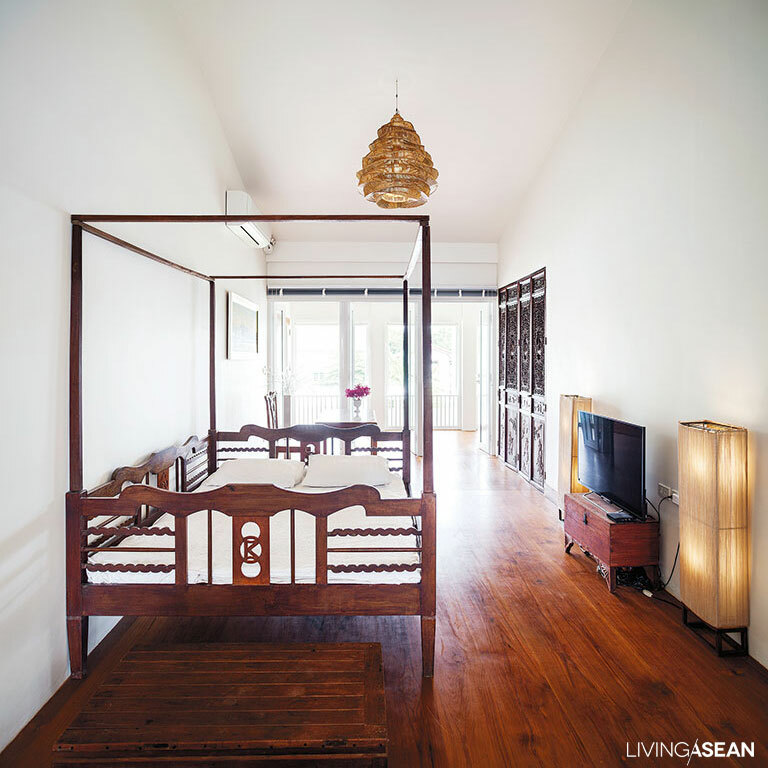 There’s a balcony door which can be opened vertically as a sunshade, a similar design to a Thai-style “baan krathung” prop-up window. 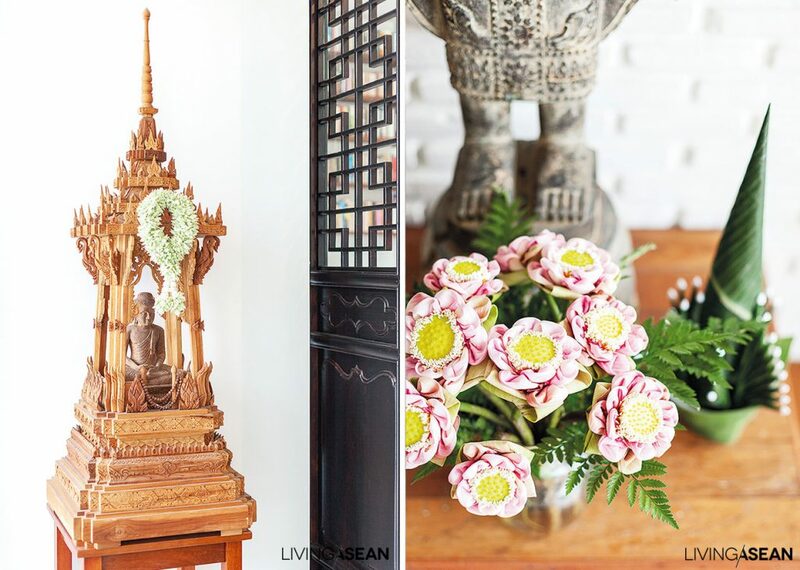 Features such as this help create an amazing sense of comfort for a Bangkok house.